Many home distillers age their moonshine to round out or add flavor to the spirit. Because a home distiller often doesn’t have 5-10 years to age their moonshine in oak barrels it’s often necessary to artificially age the spirit. When aging a spirit oak chips are often used to add flavor and glucose or glycerine syrups are used as smoothing agents. These natural syrups are also used when making liqueurs such as Strawberry or Blueberry Liqueurs. They are credited for adding smoothness and body to the spirit and are capable of taming the harshness of moonshine. Glycerine is a naturally occurring product that is produced by most living things. It is naturally present in most animal fat’s as well as vegetable fats. It’s classified as an organic alcohol that also goes by the name of glycerol. Glycerine is also a byproduct in the manufacturing of soap. Glycerine is a clear oily liquid that has a sweet taste. The human body is unable to digest glycerine and thus it is often used as a calorie free food additive. Adding just a few drops of glycerine to poor quality moonshine will conceal the harshness of it. Glycerine is also know as a “Beading oil” because when added to low proof moonshine it will cause “beads” to form in the same fashion as high proof moonshine when a Shake Test is performed to determine proof. Should I Add Glycerine To My Moonshine? Pro’s – Smooths out final product, 100% organic, no known side effects and very commonly used in food and beverage industry. Also decreases time needed to age whiskey and rum. How much Glycerine should I add to my Moonshine? The amount of glycerine you want to add to your moonshine depends on what your making. Keep in mind 1 tsp is about 5 ml give or take a little. I’d always recommend adding less and test then add more because you can’t take it out afterwords. Below are some examples of how much glycerine to add to different spirits and liqueurs. Where Can I Buy Glycerine? Glycerine is available at your local homebrew store, as it’s used as a finishing agent in wines. You can also find it online at Amazon.com. Your local pharmacy will also stock it and should be available over the counter. If you’ve got any questions or have experimented with adding glycerine to your moonshine let us know about it. Let us know what you were making and how much you added? What were the end results? We love hearing feedback from our readers simply drop us a line below. 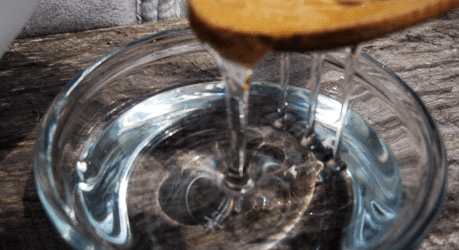 3 Responses to "How Glycerine Is Used To Age Homemade Moonshine"
I have used corn syrup and or algave syrup and they work well, and you get a little sweet after taste. Just bottled some corn wiskey to age with some toasted black birch and charred white oak. Added some algave,and it is top shelf. ( same as they did 70 years ago on ragged ridge) cut to 86 proof, super smooth. when adding glycerine it’s going to make the spirit of choice a bit more thick. How will this affect trying to cut my high proof spirit down to 80 proof using my hydrometer and thermometer? Won’t the hydrometer be affected by the glycerine? 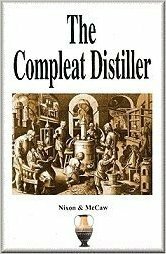 I would cut your high proof spirit to 80 proof using your hydrometer and then add glycerine to it that way it won’t affect your reading.